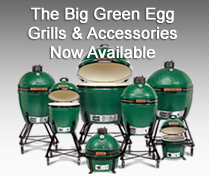 Be sure to visit our showroom to see a wide selection of gas fireplaces, wood burning, fireplaces, electric fireplaces, stoves, pellet stoves, gas stoves, wood burning stores, electric stoves, firepits, high end patio furniture from leading manufacturers, accessories, patio umbrellas, hammocks, furniture covers, custom outdoor kitchens, Big Green Egg Grills, Weber Grills, awnings, and more. . Serving Anne Arundel County including Annapolis, Annapolis Junction, Arden-on-the-Severn, Arnold, Beverly Beach, Bristol, Brooklyn Park, Cape Saint Claire, Churchton, Crofton, Crownsville, Davidsonville, Deale, Edgewater, Eldkridge, Fairhaven, Ferndale, Fort Meade, Friendship, Gambrills, Galesville, Germantown, Gibson Island, Glen Burnie, Green Haven, Hanover, Harmans, Harundale, Harwood, Herald Harbor, Hillsmere Shores, Jacobsville, Jessup, Lake Shore, Linthicum, Londontowne, Lothian, Maryland City, Mayo, Millersville, Odenton, Parole, Orchard Beach, Owensville, Pasadena, Pumphrey, Riva, Riverdale, Riviera Beach, Russett, Selby-on-the-Bay, Severn, Severna Park, Sherwood Forest, South Gate, Sudley, Tracys Landing, Waysons Corner, West River, Winchester-on-the-Severn, and Woodland Beach. For more information about Fireplaces, Stoves, Firepits, High-End Patio Furniture, Accessories, Patio Umbrellas, Hammocks, Furniture Covers, Awnings, Patio Grills, Big Green Eggs, Weber Grills, grill accessories, and more visit our showroom convenient to Anne Arundel County, just off 695 or I83, in Lutherville - Timonium at 1616 York Road.